Planning a wedding, christening, birthday or just looking for a cheap camera for the kids or yourself to take a few snaps before getting them developed? It’s hard to recreate the magic that comes from a disposable camera. 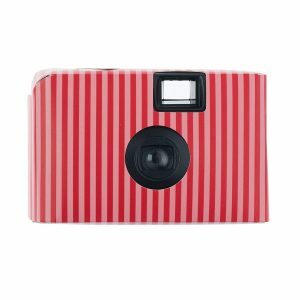 A cheap way to ensure memories made and captured forever with an old school print and classic charm, perfect for events, school trips and travel breaks away, disposables are always a winning purchase. 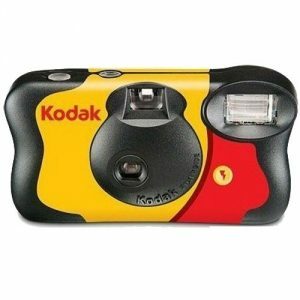 King of disposables, making the famous appearance in the Pitbull song, the Kodak Single Use FunSaver is your basic, go to disposable camera, complete with flash. 27 exposures are available with the purchase with an extra 12 free when purchased from Amazon. Non-digital hardware means that the images must be taken to be developed at your favorite photograph development store (can usually be done at most supermarkets if you don’t have a local Snappy Snaps) but adds to the magic. Camera does require 1x AA battery (included). 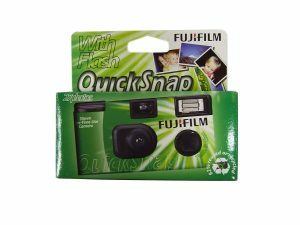 Coming from Fujifilm, the Superia QuickSnap 27 Exposure Disposable Camera is another disposable available on the market, creating an alternative to the tried and tested Kodak. All disposables are very similar and in the end it’s more a choice of the design and what brand that you prefer and the Fujifilm shows a similarly priced example, perfect for ephemeral photography. The Superia QuickSnap only comes with 27 exposures opposed to the 39 from the Kodak but does also contain a flash but does require 2x AA batteries. Perfect for style focused occasions, the Trendz TZDCWH Disposable Camera is a perfect addition available in both blue and red with 18/36 exposure options. These can be used for centrepieces to be passed around to capture a wedding night or bought as a gift for a photography lover. A splash of colour can make all the difference with a disposable and allows a little slice of you to shine through whatever you may use it for. With the low price of £6.68 for a 16 exposure example.